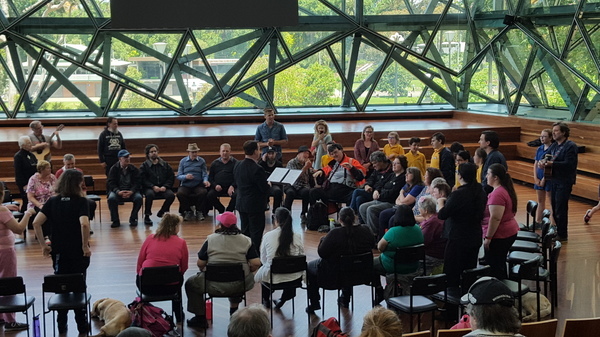 IT is full steam ahead for singers from Insight Education Centre for the Blind and Vision Impaired who joined an award-winning choir for rehearsal at Federation Square. The students and their teacher Sean Rigney taught their favourite song Freight Train to members of Choir of Hard Knocks on 5 December. The choir, led by founder Jonathon Welch, then introduced the Insight singers to their repertoire. 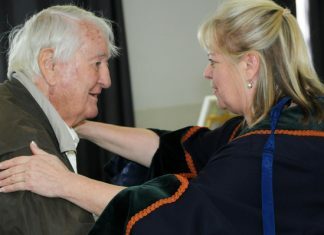 “It’s good for our choir members too, to see the optimism and confidence the kids have, despite their lack of sight and the unique challenges they face every day,” Mr Welch said. Insight principal Timothy Hemphill said the life-affirming experience was fun and stimulating for the students.